WHILE the country’s elite boxers gear up for the Southeast Asian Games and the World Championships, the young guns are also primed to compete in the Asian Junior Boxing Championships from Aug. 1 to 8 in Puerto Princesa, Palawan. Boxers from 20 to 30 Asian countries will vie in the Asian event, the first major international competition the Association of Boxing Alliances in the Philippines (ABAP) is hosting since the Asian Youth Championships in 2013. 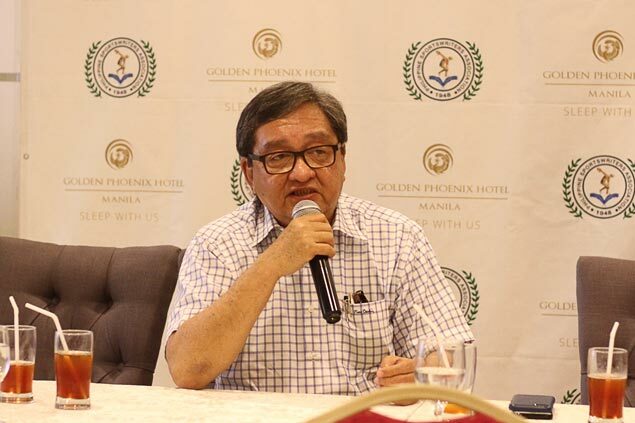 Ed Picson, executive director of ABAP, told Tuesday’s Philippine Sportswriters Association (PSA) Forum at the Golden Phoenix Hotel in Pasay City that ABAP is trying to put its best foot forward for the Puerto Princesa even reserved for boxers aged 15 to 16 years. “Our counterparts are putting a lot of emphasis on this age-group because this is where it all begins as the boxers get to the Youth Championships (17-18 years) and then the elite level,” said Picson in the session presented by San Miguel Corp., Golden Phoenix Hotel, Accel, and the Philippine Amusement and Gaming Corp.
“This is as important to us,” he added as he looked forward to the event that is fully supported by Puerto Princesa Mayor Lucilo Bayron and Palawan Gov. Jose “Pepito” Alvarez.